God has given me a life that is much different than I dreamed it would be, but also better than I could have ever planned or imagined. I trust that life with dysautonomia is His good plan for my life. I do not understand all of God’s purposes in allowing me to be a disabled and homebound wife and mother. God’s ways are not my ways. His thoughts are higher than my thoughts. But even in my limited understanding, I can see ways that dysautonomia is beneficial for me. 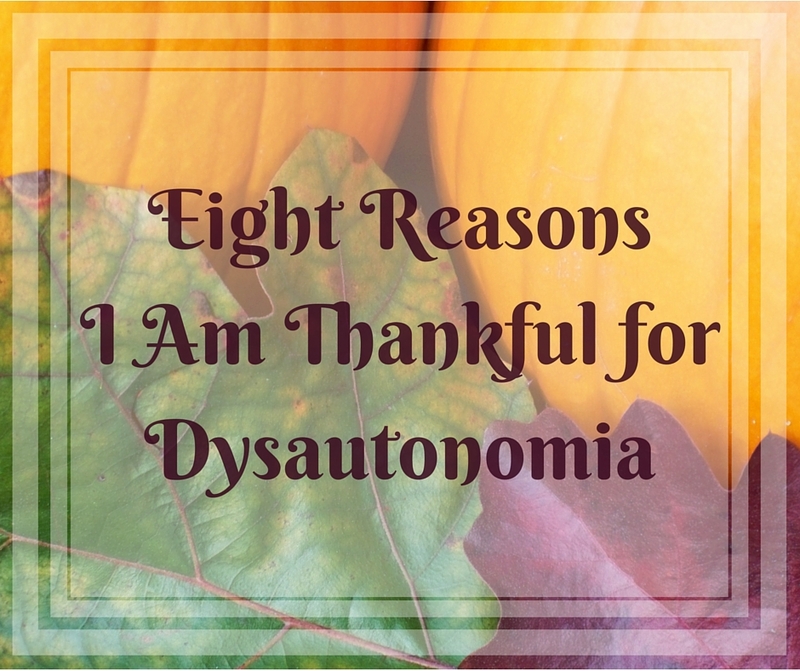 I am thankful for the many blessings that have come because I have dysautonomia. Dysautonomia reminds me each day that I need the Lord. Every day I wake up to a sick, weak, and miserable feeling in my body. I am keenly aware that I cannot control my health or my strength. I cannot make my body function properly. It is truly the Lord who sustains life, gives health, and gives weakness. I have learned to see the pain and weakness in my body as a grace and a mercy. It is a daily reminder of my need for, and my dependence upon, the Lord. I have made many friends online whom I never would have met if I did not have dysautonomia. 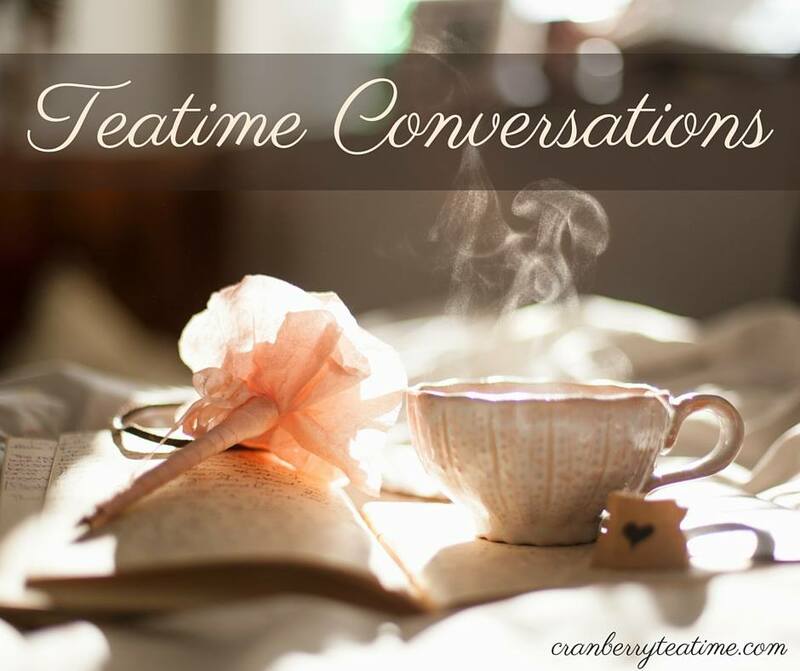 Through places like DINET, blogs, and Facebook groups, I have met so many people with dysautonomia, chronic illnesses, and other disabilities. These friendships are a treasure to me! I have learned a lot from my friends who live with various illnesses and disabilities. They have encouraged me through their examples, inspired me with their courage, and blessed me with their friendship. Dysautonomia brought me to the point of starting a blog. I probably would not be blogging if I were not ill and homebound. Blogging has been a wonderful creative outlet and connection to the outside world. If I did not have dysautonomia I probably never would have started blogging. I would have been too busy to sit down behind a computer for hours each week. Dysautonomia has caused me to slow down and take time to write. Through living with dysautonomia I am learning to persevere. Although trials are not pleasant, they are beneficial. They are so beneficial that we are to count it all joy when we face trials (James1:2-4). For this reason, I am grateful for dysautonomia. It gives me opportunity each day to persevere in hardship. Each day I push my body to keep going and not give up. I seek to be content and enjoy my life. I spend time with the Lord when my mind and my body are tired. I give of myself to my husband and my children. I am learning to persevere, and it is growing me to maturity. What a blessing! My children learn compassion through having a disabled mother. Because of my needs, William and Adelaide had to learn from a very young age to be gentle and quiet. They learned to look out not just for their own comfort, but for mine as well. They have learned to serve me when I need help. These lessons in compassion and servanthood will be beneficial to them for the rest of their lives. Dysautonomia provides challenges that cause our marriage to be strengthened when we persevere in love and faithfulness. Marriage affected by a disability is hard. But when Will and I determine to persevere in the challenges, to love and serve each other, and to cling to the Lord through it all, our marriage is strengthened. Dysautonomia makes marriage hard, but it brings us closer together, and that leads to much happiness in marriage! Living with dysautonomia reminds me to keep an eternal perspective. My body is tired and weak. My health has been steadily declining for 16 years. My hope is not in good health in this life. My hope is in the life to come. My hope is in the One who paid the price for my sin, taking the punishment that I deserve, so that one day I can be free of this body of death and live forever on the New Earth. As I struggle to persevere in this weak and tired body, I am reminded that this body is not the only body I will ever have. This life is not my only chance at happiness. The best is yet to come! I am gaining reward in Heaven when I suffer faithfully. This is such a reason to be happy in life with dysautonomia! I cling to these verses daily: “So we do not lose heart. Though our outer self is wasting away, our inner self is being renewed day by day. For this light momentary affliction is preparing for us an eternal weight of glory beyond all comparison, as we look not to the things that are seen but to the things that are unseen. For the things that are seen are transient, but the things that are unseen are eternal” (2 Corinthians 4:16-18). It always astounds me that suffering is incredibly beneficial to believers in the Lord Jesus Christ! A faithful response to suffering will result in a greater reward than we would receive if we did not suffer at all. And the reward awaiting us in Heaven is far out of proportion any suffering we could ever endure on earth. Suffering will one day be worth it all. Because there is reward for living faithfully in the midst of affliction, I am very grateful for dysautonomia! I would love to hear from you! What hard things do you face in life? What reasons have you found to be thankful for suffering?